One of the world’s most famous condiments, Tabasco, celebrates its 150th birthday this year. Edmund McIlhenny created the famous pepper sauce in 1868 on Avery Island, Louisiana. The company is still headquartered there, and it is still run by McIlhenny’s descendants. But whether or not you’re one of those pepper fiends who shakes Tabasco on everything from eggs to burgers, Avery Island is a fun destination with a neat history. Tour the Tabasco museum and factory, try free samples of Tabasco-infused goodies, dine on Cajun food and consider trying a bloody mary (spiked with Tabasco, of course). There’s also a unique nature preserve called Jungle Gardens where you’ll learn the story of how Avery Island helped save an entire species of bird from disappearing in the U.S. Despite its name, though, Avery Island is not an island. It’s a salt dome, a geological phenomenon in which an underground bed of salt pushes up the terrain. That salt is used to flavor Tabasco. As the story goes, McIlhenny planted some pepper seeds he’d been given and liked the peppers they grew. He mashed them up with Avery Island salt, let the mixture age, then added vinegar and packaged the result in bottles designed for cologne. The spicy sauce was a hit. Museum exhibits include vintage bottles along with the wooden barrels still used to age the sauce. A greenhouse displays some pepper plants, though the peppers are now mostly grown outside the U.S. The sauce is bottled here, though, and you’ll get a good look at the factory where a stream of bright red bottles flies past. The factory can produce up to 700,000 bottles a day, and you’ll see the day’s tally on a digital ticker. By the way, the seeds have no connection to the state of Tabasco in Mexico, but the word tabasco is derived from an Aztec term that means “humid land” and the seeds McIlhenny planted are said to have originated in Latin America. Across the decades Tabasco has become a cultural phenomenon as well as a culinary staple. One video in the museum shows Tabasco turning up in everything from Bugs Bunny cartoons to James Bond movies. Tabasco was used as a wartime code word and was included as a condiment in prepackaged meals for U.S. soldiers. And it’s sold in 195 countries and territories worldwide. Tabasco’s current CEO, Tony Simmons, is McIlhenny’s great-great-grandson. He says only 2 to 4 percent of family businesses make it to the fourth generation, but Tabasco is already in the hands of the fifth generation. At the onsite country store, you can try free samples of Tabasco-infused edibles ranging from soft ice cream to soda to pickles. Souvenirs for sale include men’s underwear decorated with little red peppers. Next door at the 1868 Restaurant, yummy Cajun food like gumbo, crawfish etouffee and boudin sausage is dished out cafeteria-style. And as long as someone else is doing the driving, go ahead and treat yourself to a bloody mary. A short drive from the Tabasco complex, you’ll find Jungle Gardens. A driving route offers a dozen numbered stops for attractions including a palm garden, live oaks and a 900-year-old Buddha statue. Watch where you step: alligators abound. But the highlight of Jungle Gardens is Bird City, where on a June day about 1,000 egrets could be seen chattering and calling to one another from raised platforms around a lagoon. Some swooped overhead as an alligator floated by. The story of how the colony was established is remarkable. In the 1890s, snowy egrets had “almost been wiped out to extinction in the U.S.,” according to Erik Johnson, director of bird conservation for Audubon Louisiana. The birds were hunted for their feathers, which were used in ladies’ hats. E.A. McIlhenny, son of Tabasco’s founder, managed to acquire eight snowy egrets, built an aviary for them and hand-raised them. Then he set them free. When they returned on their seasonal migration, they brought more birds with them and the numbers grew. By the time former U.S. President Teddy Roosevelt, a champion of environmental conservation, visited Avery Island in 1915, he said 40,000 birds were nesting there. Snowy egrets have rebounded nationwide since then, and these days several thousand nesting pairs of snowy and great egrets typically arrive on Avery Island in late winter and stay through summer. But McIlhenny’s “legacy goes well beyond egrets,” Johnson said. McIlhenny also helped secure passage of the Migratory Bird Treaty Act, which was signed into law in 1918. 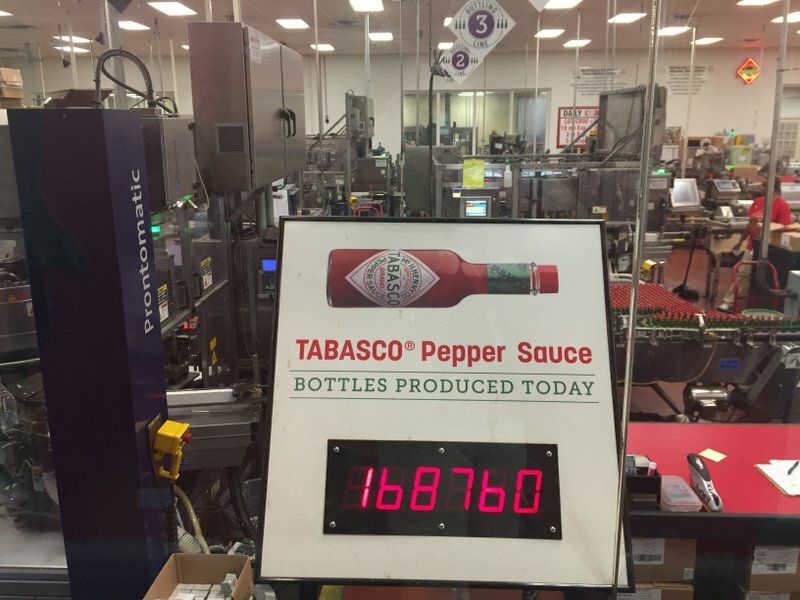 That means Tabasco’s 150th birthday isn’t the only milestone being marked this year. The Migratory Bird Act, credited with saving many bird species from extinction, marks its centennial this year, too. AVERY ISLAND, LOUISIANA: https://www.tabasco.com/visit-avery-island/. Located about 140 miles (225 kilometers) west of New Orleans. Tabasco self-guided tour, $5.50. Jungle Gardens, $8. Combined ticket, $12.50. Open 9 a.m.-4 p.m. daily.